Read the full global press release in English. From the UNICEF website, download the Podcast featuring MRG’s Maurice Bryan discussing education and minority and indigenous issues, and read the UNICEF report on the official book launch that took place in New York in July. Education for all is a goal that has been reaffirmed by states the world over many times in the last decade. It is meant to be achieved by 2015. But as this book clearly shows, a quality education is not eaching the world’s most vulnerable communities: minorities and indigenous peoples. In Central Africa, the great majority of indigenous Batwa and Baka have not had access even to primary education. In South Asia, Dalit girls are prevented from pursuing their education not just because of poverty, but through discrimination and sexual violence. In many countries in Europe, Roma children continue to be placed in segregated classes or in special schools for those with learning disabilities, just because of their ethnicity. In Latin America, millions of indigenous and African descendant children, instead of being in school, work in fields and plantations, in the mines, or at home. In a unique collaboration with UNICEF, Minority Rights Group International reports on what minority and indigenous children around the world face in their struggle to learn. 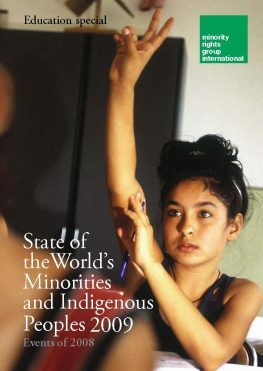 State of the World’s Minorities and Indigenous Peoples 2009 profiles the programmes that are being developed to help them – from better bilingual education to meeting the needs of nomadic populations – giving examples of what works and why. It describes efforts to overcome exclusion so that education is available, accessible, acceptable and adaptable for minorities and indigenous peoples, and shows how far there is still to go. Children in Ban Pho preschool in Bac Han District in remote Lao Cai Province. The UNICEF supported school promotes child participation and other child-friendly activities, and includes classes taught in the children’s indigenous language. Josh Estey/UNICEF. An analysis of available statistics that show that minorities and indigenous peoples are the most likely to suffer discrimination and exclusion in education worldwide. First-hand accounts of the difficulties and challenges facing minority and indigenous children in every major world region. Coverage of the key issues for promoting the right to education, including overcoming the double discrimination faced by minority and indigenous girls, the need to collect data by ethnicity, and the importance of bilingual or plurilingual education. A unique statistical analysis and ranking of Peoples under Threat 2009. 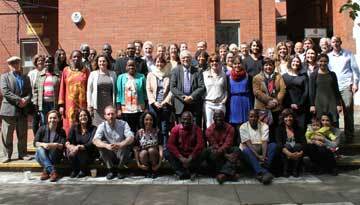 State of the World’s Minorities and Indigenous Peoples is an invaluable reference for policy makers, academics, journalists and everyone who is interested in the conditions facing minorities and indigenous peoples around the world.